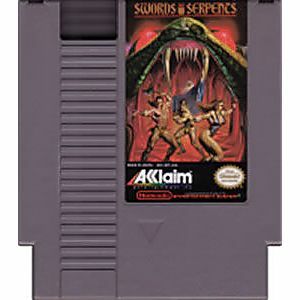 Swords & Serpents original NES Nintendo Game cartridge only - Cleaned Tested and Guaranteed to Work! 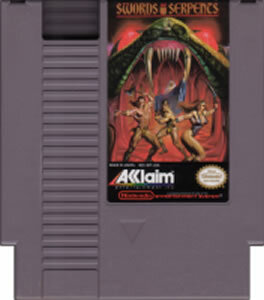 Swords and Serpents for NES is a pretty good RPG. Easy to pick up and play and fun. Its also pretty simple too, so for those who are easily turned off by overly complex RPG/Dungeon-crawlers then this might be for you.